EarthFresh Farms is excited to announce their expansion into the Southeastern USA with an advanced technological packing plant and distribution center in Atlanta, GA. The new 140,000 sq. ft. packing plant and distribution center will operate as EarthFresh Atlanta, using the newest available technologies and equipment to serve customers throughout the Southern USA. 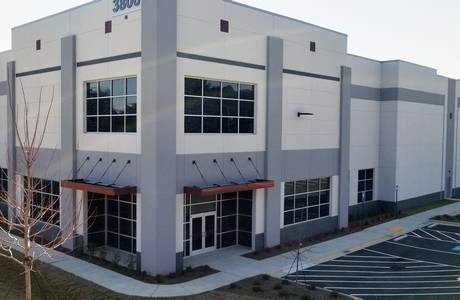 Located at 3800 Naturally Fresh Boulevard in the College Park area of Atlanta, the site was chosen for its ease of access, customer service, speed to market, availability of skilled workers and proximity to rich agricultural regions. “This new location perfectly complements our vision and plan to provide fresh potatoes to our retailers and consumers”, said Tom Hughes, CEO of EarthFresh Farms. “The addition of this new location will allow us to keep expanding our base of business and target new customers”. The EarthFresh Atlanta facility will employ over 100 people when fully operational in September 2019. With guidance from, and a close working relationship with, the Georgia Department of Economic Development and the Georgia Quick Start program, EarthFresh is confident with the choice of their new location and the efficiencies that this new venture will create. Hughes added, “The assistance provided to us by the Georgia Department of Economic Development was invaluable. The State and people of Georgia will benefit from our investment of bringing fresh potatoes to the area and creating more jobs”. For EarthFresh, which grows and delivers more than 10,000 acres of fresh potatoes to retailers and foodservice providers across USA and Canada, this new location offers them the ability to better service Southeastern and Southcentral USA.